In order to maintain a successful lending practice, lenders and their teams need to maximize efficiency, reduce risk, and maintain compliance. PCFS has met these challenges by creating the robust Credit.Wrx software, which is a comprehensive business lending underwriting and processing application that streamlines the loan origination processes. Our software increases the efficiency of your team and gives them a reliable tool that eliminates errors associated with dual entry and misplaced documents, by organizing and maintaining borrower, guarantor, and other key entities’ information and documents in a single record. 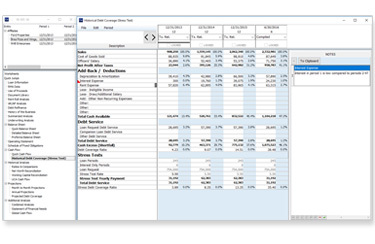 In addition, Credit.Wrx features a full financial and underwriting analysis toolset, such as global cash flow, stress test and combined analysis for borrowers, co-borrowers, principals, and affiliates. 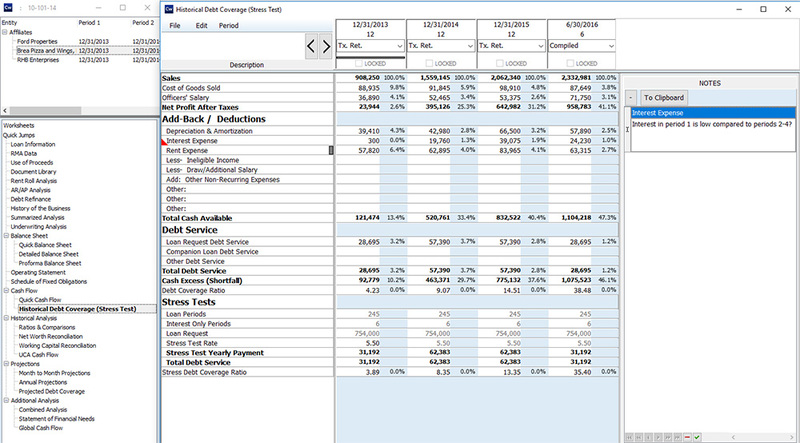 The in-depth financial analysis data can then be incorporated into loan document templates in Microsoft Word™. These automatically generated documents include credit memos, approval letters, commitment letters, and denial letters. The application can also facilitate 4506-T transcript processes electronically and communicate with SBA-One and E-Tran, ensuring that the loan submission record is complete and compliant. 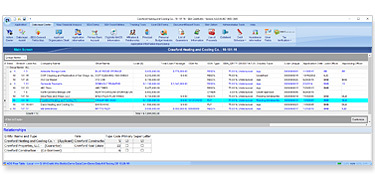 Credit.Wrx software is a wide-ranging solution that increases your team’s proficiency and compliance by providing accurate, reliable information from one convenient source that can be used throughout the origination process.